From the track to you, without a pit stop. More air in, more power out. 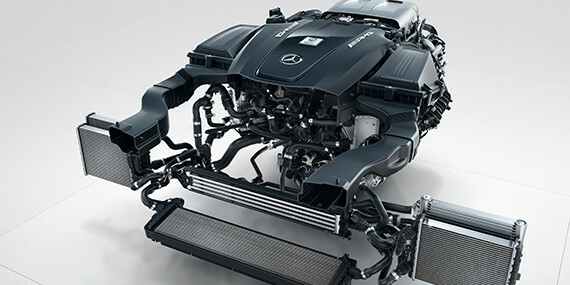 Bigger turbos, nested between the cylinder banks, force-feed 19.6 psi of max boost to reshaped cylinders and heads. 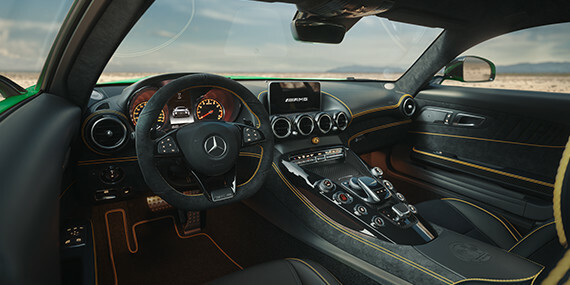 From remapped engine management to a lightened flywheel, each of its 577 hp carries less than 3 kg of the car it can rocket to 100 in 3.6 seconds**. Massive torque, in a lightweight housing. 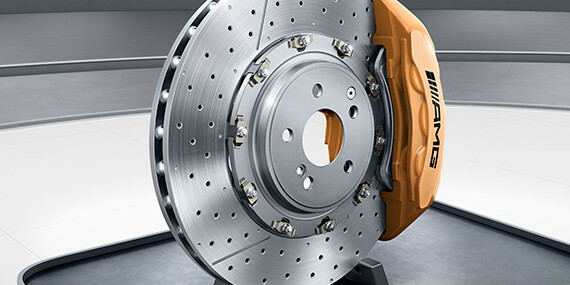 Speed-conquering brakes, proven in the heat of battle. Racing-bred suspension, track-tuned and road-ready. 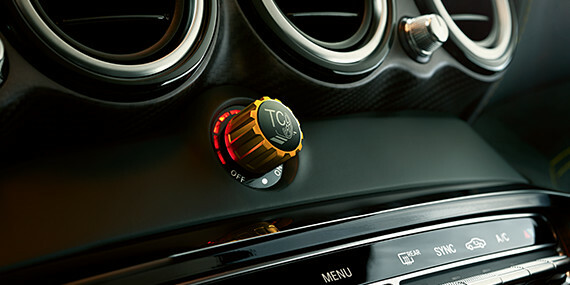 9-mode traction control, because traction is control. 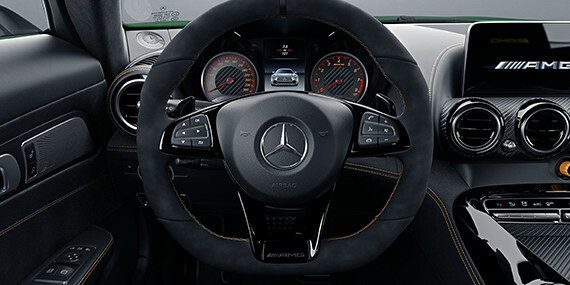 Confident grip, seamless control: The cockpit is what the car does. 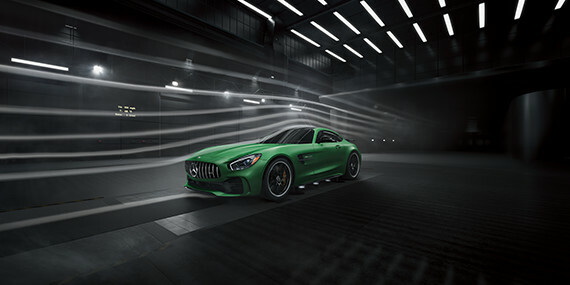 Aerodynamically advanced: From active intakes to fixed rear wing. 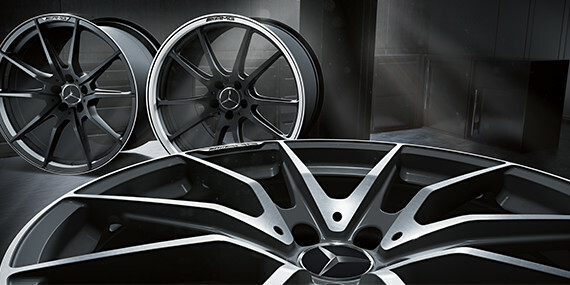 Forged wheels: AMG precision in its most genuine form. 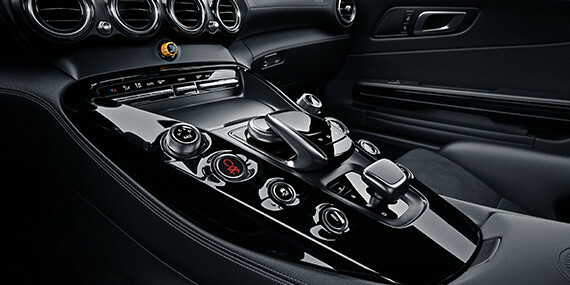 AMG® alloy wheels have long been icons of precision and panache. 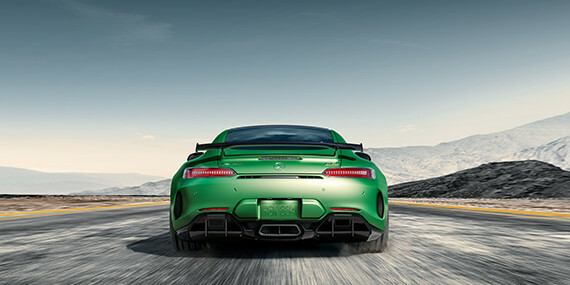 The pinnacle of these are forged for high strength with minimal weight, with the bonus of ultrathin spokes that showcase the AMG brakes. Three available styles are staggered in width and diameter, 19″ front/20″ rear, for ideal balance***. *** Vehicle is equipped with extreme-performance sport tires designed for competition use in specific temperature conditions. Always obey local speed and traffic laws. Lower aspect ratio tires and accompanying wheels provide substantially increased treadwear, increased tire noise and reduced ride comfort. 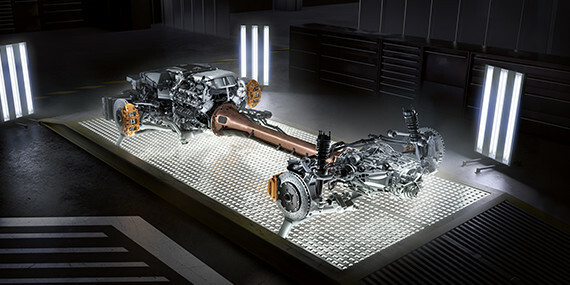 Serious wheel and tire damage may occur if the vehicle is operated on rough or damaged road surfaces or upon encountering road debris or obstacles. These tires are not designed for use on snow and ice. Winter tires mounted on appropriately sized and approved wheels are recommended for driving in those conditions. Vehicle is provided with TIREFIT sealant a portable air pump in lieu of a spare tire.